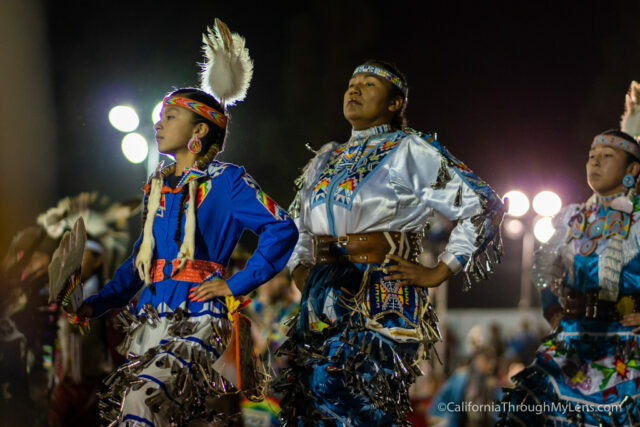 The San Manuel Pow Wow is the largest of its kind in California, with hundreds of dancers descending on Cal State San Bernardino for a weekend celebrating Native American culture. Before being invited to the event, I had no idea how big it was and how much fun it is to attend. 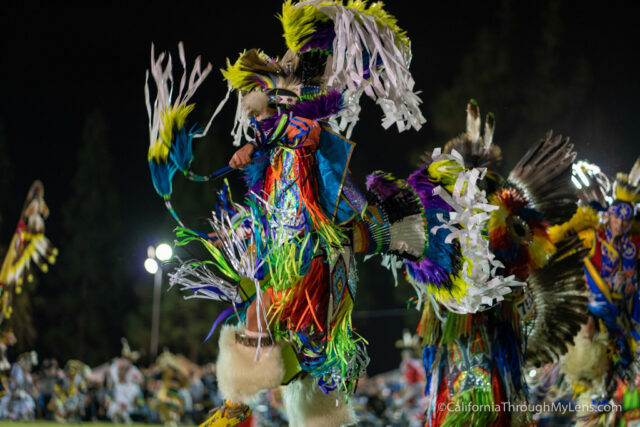 All of the music, dancing, and colors are overwhelming but in a good way, one that encourages you simply to sit back and enjoy the event. 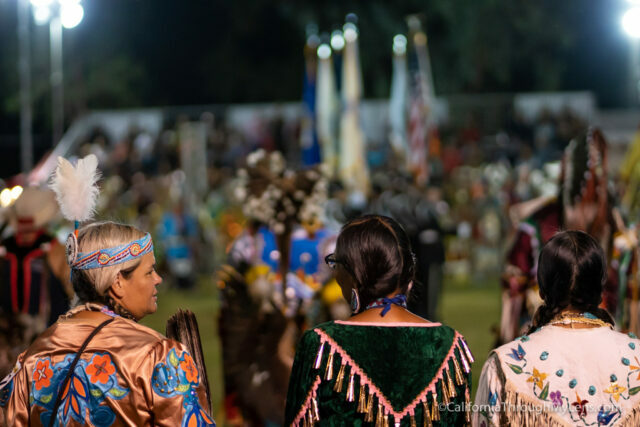 We went on Friday, which was the opening night, but it went all weekend with each day having a grand entry which is the most fun part to watch. 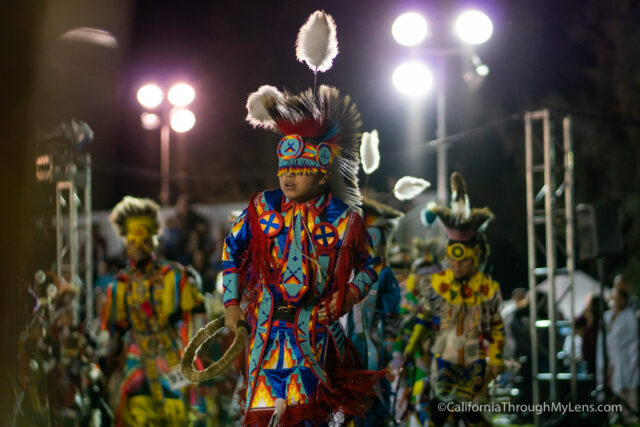 Here is all the information so you can check it out next year when it comes back to San Manuel or so that you can find one near you. 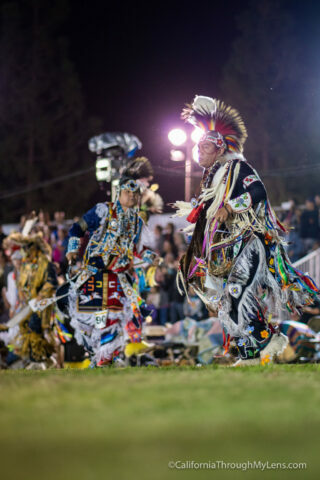 The pow wow is usually held on the Cal State San Bernardino campus, in the large grass area near the soccer field. There are signs that direct you where you park when you get there and parking is free. 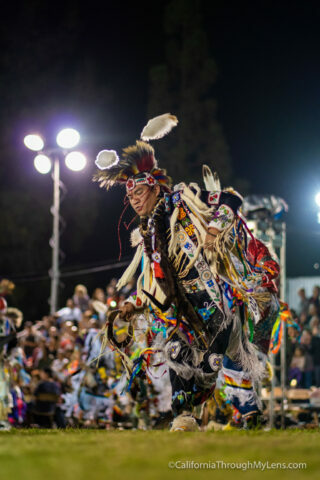 Before even watching the dancers, there are loads of vendors and food carts that you can visit. 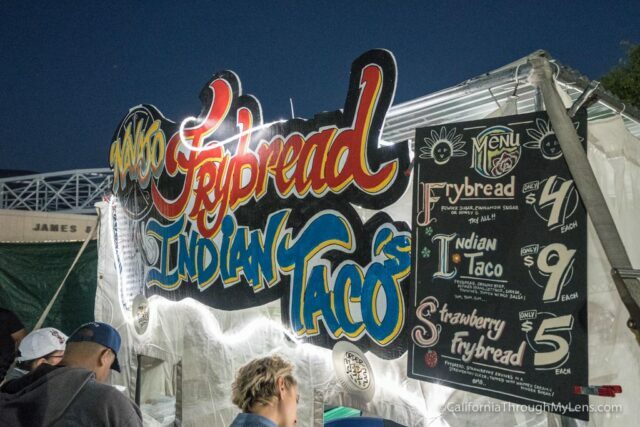 Most of the food carts were selling fry bread or “Indian Tacos.” I was told that fry bread is a very traditional dish, so it was fun to try it here. Amie and I split a traditional Indian Taco and a dessert one. 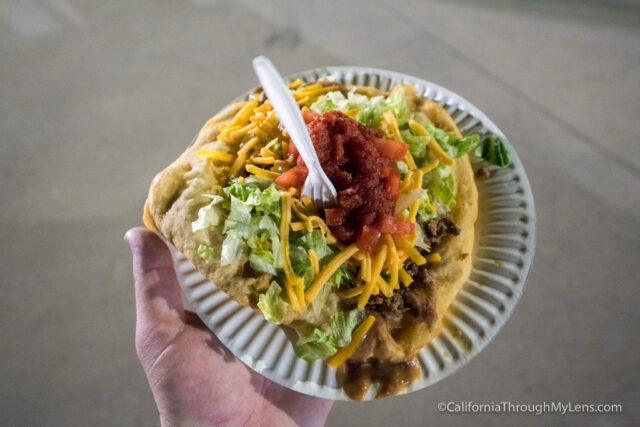 The taco is much like a tostada would be with loads of toppings on a fried, spongy bread. Amie and I both enjoyed it. After eating we made our way into the vendor’s area to see what they had for sale. 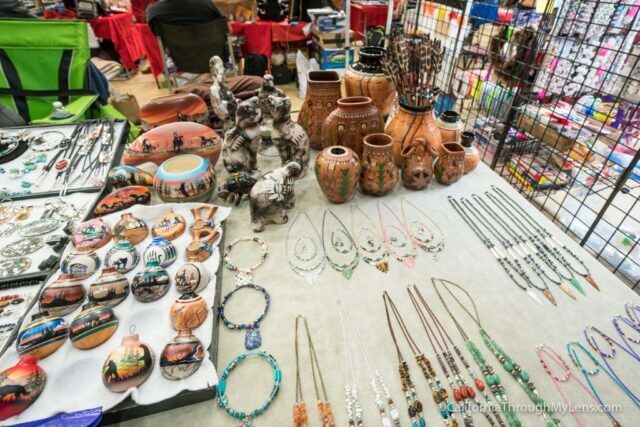 The booths had everything from arrowheads and jewelry to art and clothing. Many of them sold the same things, but I was surprised that the prices were better then I expected them to be. After exploring the food and shopping options, we headed to the central area to wait for the grand entrance. 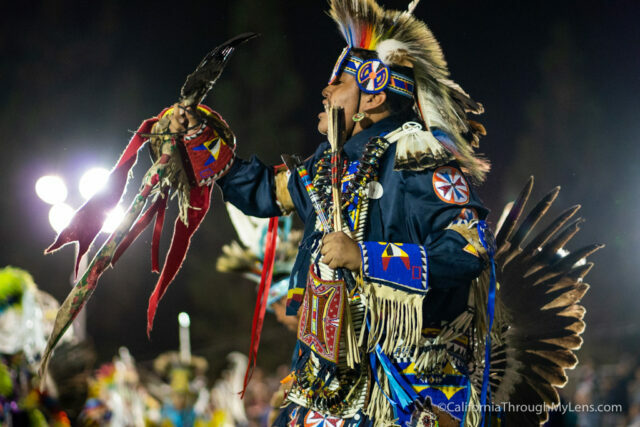 The grand entrance is a 15 minute event where all of the dancers come into the arena and dance together. 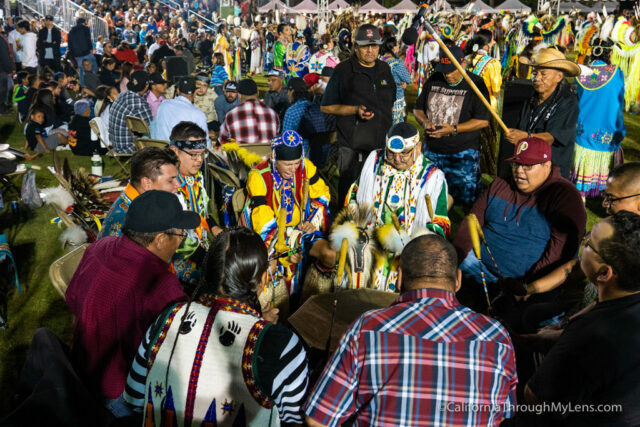 It is one of the most popular events at the pow wow, and the stands are packed when it happens. We went down to where all of the people were entering and waited as it was a great spot for photos. After they entered, we walked around around the venue, seeing the different dancers and taking lots of photos. It’s loud and full of color which makes it fun for photos and video. 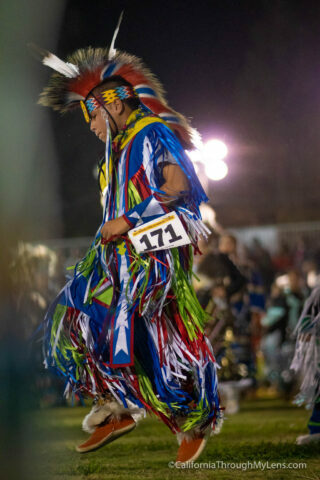 When the grand entrance was done, they started to have competitions, which were primarily based on age and gender. It was interesting to see even though I didn’t fully understand what was going on. 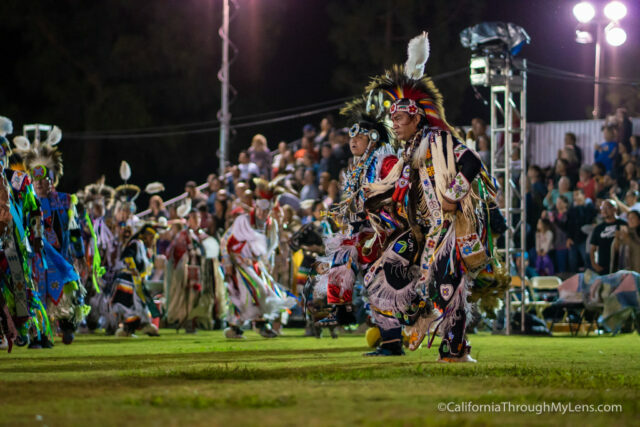 They also had an intertribal dance where all the tribes could dance together, and people from the audience could even join as well. 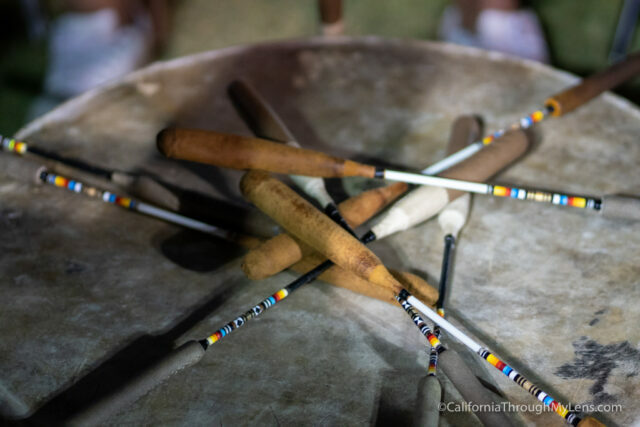 All of these songs are performed by the drummers and singers which sit around the central dancing area and there are a dozen or so groups that switch songs. Watching them was one of my favorite things as they can make both the drums and their voices carry incredibly well. 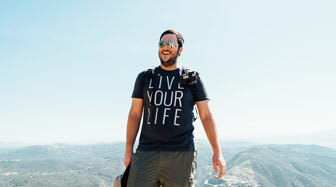 We stayed for about 3 hours taking it all in, and I can easily say that it was a great, free experience in California. 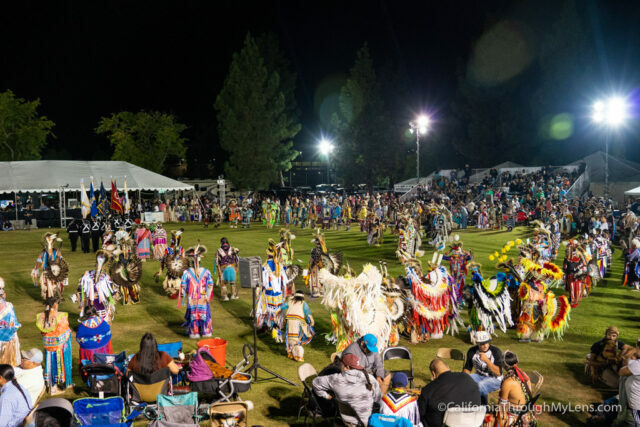 If you are looking for an exciting night out, then consider visiting a pow wow in your area, you can get a complete list of the pow wows around the state here. Here is a video I made of my time at the event last year when it was in the arena. 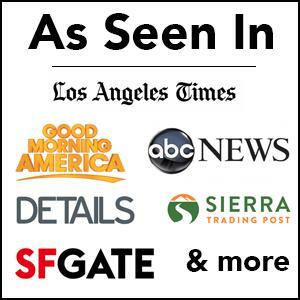 Let me know if you have been in the comments and what you think.